Be kind to everyone and help anyone. This was the essence of a great man that is now with our Lord. David D. Johansen, 70, of Cheyenne, Wyoming, peacefully passed away at home on October 6, 2018. May his memory be eternal. Dave was born on September 19, 1948 in Laramie, Wyoming to Daniel and Jean (Mason) Johansen. He grew up throughout Wyoming, and enlisted in the army when he turned eighteen. Dave served our country with a tour of duty in the Vietnam war, and time stationed at several bases around the country. After his honorable discharge, Dave returned to Wyoming. In January of 1974, Dave married Adrianne Christopulos. After graduating from the University of Wyoming, the couple moved to Newcastle and then to Billings, Montana where their daughter, Alexis, was born. In 1985, they moved to Cheyenne. From that point on, they called Cheyenne home and built a beautiful life together back in the Cowboy State. Dave began his long career with Cheyenne Frontier Days in 1985. He started as comptroller, and two years later became the Executive Director, serving in that capacity for twenty-three years, he was also inducted into the CFD Hall of Fame His favorite part about working for CFD over those twenty-five years was getting to meet and work with the people involved – the volunteers. He also worked for Hirst Applegate LLP of Cheyenne as the administrator. In his free time, Dave could be found tending to his garden or on the river with a fly rod in hand. It could be said that his hobbies, requiring patience, reflected his personality. Dave also loved to spend time with his family (people and pets), and took every opportunity to especially enjoy his grandchildren. Dave was known for his kindness and compassion. His thoughtful soft-spoken conversations always made those within ear shot feel a little better. He would help anyone with anything, because he genuinely cared about each and every person he ever met. He was a great man, incredible husband and most loving father –a beautiful person with a great heart. Dave was preceded in death by his parents, and his sister Julie Neal. He is survived by his wife Adrianne, his daughter Alexis (Tyler) Garrett, grandchildren Jackson and Genevieve, brother William (Terri) Johansen of Cheyenne, sister Diane Johansen of Lander, brothers-in-law, Father Lou (Marsha) and Dan (Patty) Christopoulos, in addition to many aunts, uncles, nieces, nephews, and cousins. 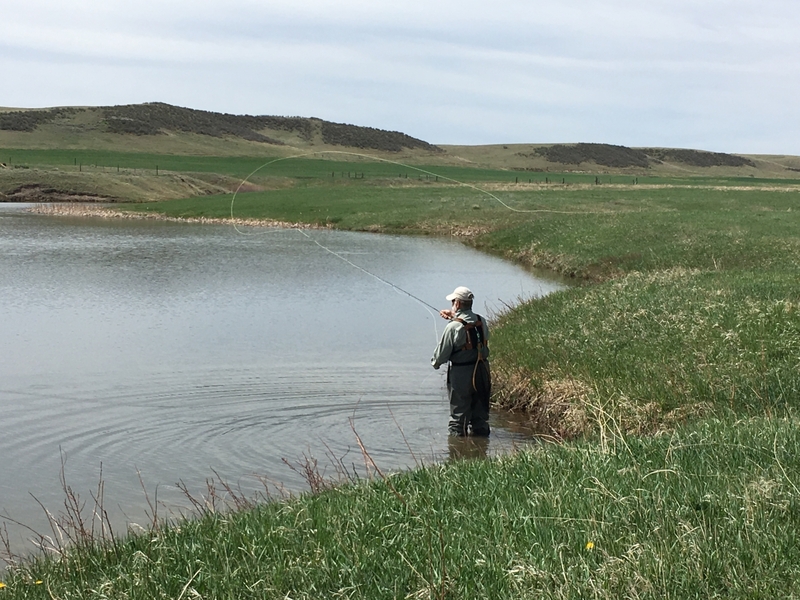 A number of organizations were part of Dave’s life, including Platte Rivers Veteran Fly Fishing, Cowboy Joe Club, Holy Apostles Men’s Group, the CFD Heels, CFD Buckle Club. He also served on the boards of the Attention Home, Inc., Boys and Girls Club, Recover Wyoming, Convention Visitors Bureau, St. Constantine & Helen, among others. He was also a Master Gardener with the Laramie County Master Gardener. Dave was a member of Holy Apostles Orthodox Christian Church. He has a devout steward of the church, including being the ministry head of the community garden. Visitation will be held on Thursday, October 11, 2018 from 6:00 p.m. to 7:00 p.m. at Holy Apostles Orthodox Christian Church with a Trisagion Prayer Service to follow at 7:00 p.m. A funeral service will be conducted on Friday, October 12th at 10:00 a.m. at Holy Apostles Orthodox Christian Church with an interment service to be held at Beth El Cemetery and a reception to follow. In lieu of flowers, donations can be made to the Holy Apostles Orthodox Christian Church building fund (http://www.holyapostles.online) or the Platte Rivers Veteran Fly Fishing organization (www.platterivers.com).